Your daily roundup of global news. Turkey has asked China to close its Uighur mass internment camps, which reportedly hold more than 1 million members of the primarily-Muslim minority. The statement marks a rare voice of criticism from Muslim nations against the exercise, which has made international headlines with allegations of torture and brainwashing. China retorted in a familiar fashion. The Chinese Embassy in Ankara said it “resolutely opposed Mr Aksoy’s view… since the establishment of the training centres, there have been no violent incidents in Xinjiang for over 25 months”. Turkey has accused China of ill-treating its Uighur population in the past as well. In 2009, Turkish President Recep Tayyip Erdogan blamed Beijing for “committing genocide” against Turkic Uighurs after clashes between the community and the native Han Chinese killed 156 people in Xinjiang, where the Uighurs are largely based. More recently, in 2015, a diplomatic row broke out after Turkey took in hundreds of Uighurs who were on the brink of facing deportation from Thailand to China. The immediate reason driving Ankara’s latest outburst seems to be the alleged death of a well-known Uighur poet and musician, Abdurehim Heyi, during his imprisonment in China. While the Turkish Foreign Ministry claims he has died, Chinese state media released a video Sunday that purportedly showed the singer claiming to be in good health. There are two reasons why Erdogan has taken on China over the past few years. First, over the past decade, Erdogan has aimed to style himself as the defender of persecuted Muslims across the globe, whether in Myanmar or Israel. His aim is to replace Saudi Arabia as the quintessential leader of Islamic populations across the world. Second, Turks have linguistic and religious ties with Uighurs. And Turkish nationalists see Xinjiang as part of a greater Turkic realm that spans from western China to the Mediterranean. For years together, the Han-dominated Beijing regime has been complicit in oppressing its Muslim Uighur population. China has two contentious minority regions – Tibet, dominated by Buddhists, and Xinjiang, with Uighur Muslims. The secretaries who are given charge of managing Tibet and Xinjiang are considered very high-ranking party officials. Additionally, a good number of these secretaries have a PLA (army) background. These secretaries often rotate between Tibet and Xinjiang. Over the years, Beijing has used regionally targeted policies in Xinjiang to achieve its aim of complete assimilation of the Uighur population. These policies include affirmative action in the form of family planning, college education, and recruitment of government cadres. They are aimed at the Hans of Xinjiang, and aim to prop them as the dominant regional community. These have been accompanied by serious assimilation efforts. For example, over the years, Uighurs have been barred from studying their own culture and language, thus ensuring that their identity is systematically suppressed. While Beijing can claim no glorious past in Xinjiang, the level of persecution has further increased in scale and method over the past couple of years, under the leadership of President Xi Jinping. In this time, Beijing has placed more than one million Uighur Muslims in extralegal detention in incarceration camps, which reportedly involve indoctrination in Communist Party slogans, beatings, forced labour, and very minimal food. Officially, Beijing calls these camps “vocational education” centres. The current party secretary in-charge of Xinjiang, Chen Quanguo, has been brought in from Tibet. In the past, Chen has won official praise for ramping up policing, and suppressing protests in Tibet. 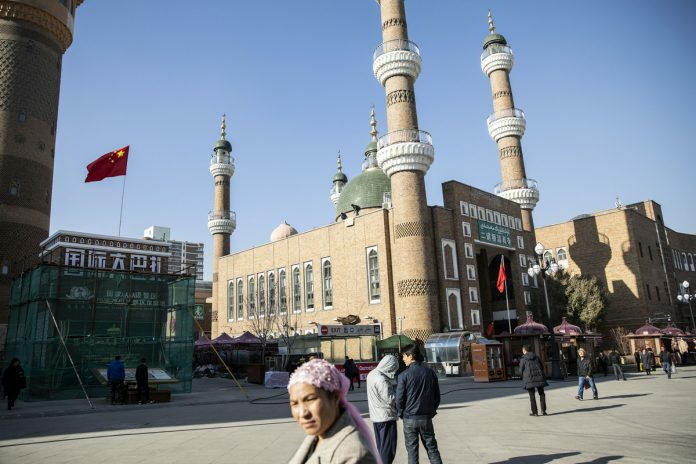 Beijing’s aim is crystal clear – eradicate even the mildest expressions of Islamic faith in China and ensure that there are no demands for an independent Uighur territory. However, the recent diplomatic outburst by Turkey, asking China to respect human rights, reeks of irony. Over the past few years, Turkish President Erdogan has punished thousands of critics and jailed journalists. He also amended the constitution in a way that shifts his country from a democracy to a presidential-style authoritarian regime. The diplomatic row between China and Turkey makes great geopolitical theatre. But it only reflects the rapidly deteriorating human rights standards across the globe. Monday marks exactly eight years since Egypt’s former President and autocratic ruler Hosni Mubarak was compelled to step down following the historic Tahrir Square protests during the Arab Spring. Since then, Egypt has in many ways been far more politically stable but challenges continue to plague the current administration under the presidency of Abdel Fattah el-Sisi. The dismal human rights standards under Sisi have particularly been a cause of worry.